In the modern world where the Internet sometimes appears cheaper and more accessible than drinking water, it's hard to imagine products that are valued for their ability to work offline. Actually, we are talking about offline language translation software for Windows! If you're trying to translate a letter, legal document, or a manual for a new home appliance, you don't obviously need to stay connected to the web. In many distant locations, such as less populated areas of Africa, Asia or South America, the Internet might still be a limited and costly resource, so people there may rather need some more reliable and autonomously working language translation software, than popular online solutions like Google Translate (the same is true for travelers carrying their Windows-driven laptops to distant, exotic locations). 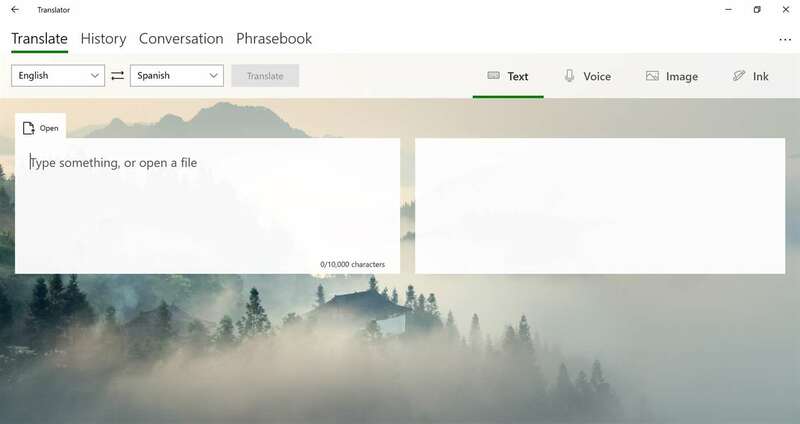 In this article, we review a few offline translation packages, which never vitally depend on Internet access or remote servers to render proper translation service, having all the needed dictionaries and linguistic algorithms right there on your PC, laptop or another Windows-driven device. 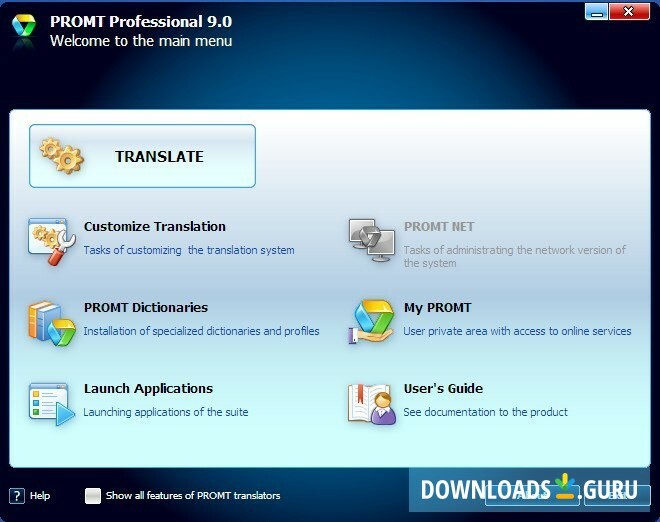 PROMT is a well-known and trusted brand name in the world of offline translation software. It doesn't need any additional introductions - it's a powerful solution that works offline, coming with a dozen of the industry and science-specific vocabularies providing correct and relevant translations for all kinds of textual stuff you may ever deal with.The company claims it has superior machine-aided translation algorithms and thus has a pretty high price tag for the product starting at $290 USD. You can try it free of charge for 15 days. Provides a quick translation in Word, Excel, Outlook, Skype, Adobe Reader/Acrobat, and other programs. Supports PDF, DOC, DOCX, RTF, XLS, XLSX, PPT, PPTX, XML, MSG, and HTML files. PROMT Agent plug-in: get a quick translation of selected fragments in a popup window. Create and edit users' dictionaries. A great selection of modern general-purpose and specialized dictionaries. Supports only 7 languages offline. Having a great number of small components makes it a bit cumbersome to use. The idea behind the open-source product Virtaal is that many native speakers of relatively rare languages are living in pretty harsh conditions with limited or slow access to the Internet, and thus Virtaal provides such users with a multifunctional, powerful yet simple offline translation solution to overcome language barriers.This translation tool is free, with a minimalistic user interface. It is available for Windows, Mac and Linux and comes with a variety of modules and possibilities for further localization and development. Switch between localizations, translation and software formats. Supports more than 50 languages. Works well with small screens. May appear a bit difficult or not user-friendly on the installation step. Seems to be rarely updated. It helps travelers avoid costly roaming or overpriced in-hotel Wi-Fi. So it translates without Internet access (you have to download a demanded language prior to using it).Microsoft Translator offers a bunch of great features making it a useful tool for travelers, such as instant translation through a camera - just point it at an object with the text (such as a guiding board or a foreign newspaper) and get the writing instantly recognized and translated. Microsoft Translator comes as a free tool with a possibility to integrate it into other Microsoft software, such as Outlook and PowerPoint. Camera function that translates writing from any tangible object: guide signs, newspapers, documents, or even simple merchandise. Articulate a phrase, type it, or even write by hand (with Windows Ink) to translate instantly. Text-to-speech lets you hear the foreign words spoken. Easily integrates to other Microsoft products. Speech audial recognition is available for only nine languages. Word pronunciation is available only for a few languages. Doesn't look good on some smaller screens. Well, it is quite difficult to find a purely offline translation product these days. All of the represented tools need web connection at a certain point of functioning whether to update or expand their toolbox and thus we recommend that you better prepare everything beforehand (download all vocabularies, language files, etc). All the reviewed software are different, for example, Microsoft Translator will better work for users who are traveling and thus may frequently need to translate text from road signs or product labels, while PROMT is a serious package for a business, industry or scientific user's workstation. 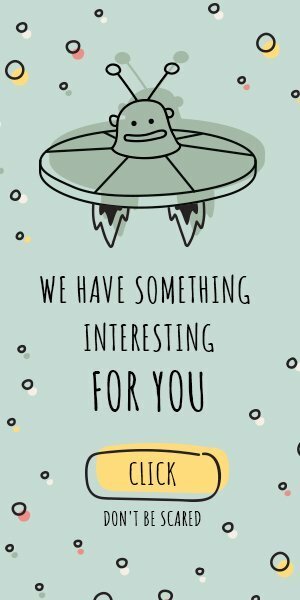 Would you rather prefer free and simple-to-use Virtaal? Please share your choice!